decent game, a lil bit boring in some parts. PLEASE LOCALIZE THE VITA GAMES. We would be ever so grateful, even if its just a PSN title. Vita Tales please. Two of them have been made and we don’t have any of them yet. A day one digital Xillia is a must too. I love Namco now. Thank you. I’ve been asking for this for a while. It’s good that the standard edition is gonna be cheap, that’s pretty awesome. I strongly suggest anyone who didn’t buy this game and likes JPGS in any way to buy it. Give them the money. Give them incentive to release more Tales over here, and quicker. Please. I beg of you. 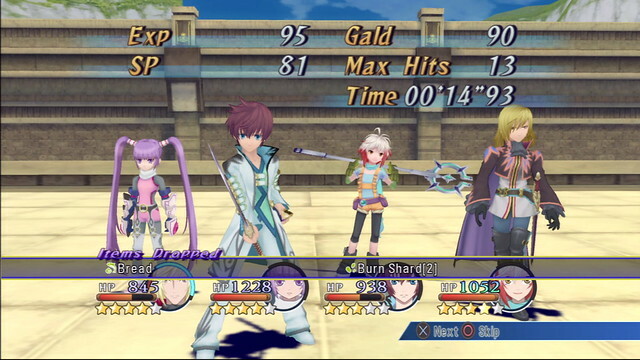 Okay so we need Tales of Legendia, (and maybe Symphonia) on the PSN, in HD, and add trophies. I like some Tales games but I don’t want to help them because Tales fans always rude. they keep trolling in many Final Fantasy forums. so I won’t support Tales games and they will not localize any of them in the future due to low sell numbers. 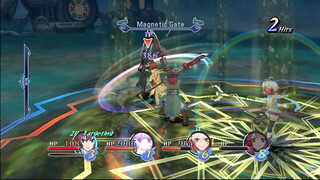 Will Tales of Xillia also be on PSN? I rather have digital copy of it. Please put it on PSN also. 20 dollar DLC is insulting to fans, but still looking forward to playing this game. Does the DLC make the game 40% better? Can we get a remake of Tales of Legendia for the Vita please? How Big is Filesize goto Be for Digtial Version? I finished Tales of Graces f last year, but I am getting Xillia and it would be great if Xillia 2 and the Vita games came over here. It’s very cool that you guys are putting this and games like it on the PSN. These types of traditionally “niche” games are good to have in this form for those of us who aren’t able to immediately jump in and may miss a release if it becomes too rare. In any case, much approved. A Tales game for the Vita would be nice. Je pourrais bien écrire en anglais, mais je fais ce post pour montrer que les jeux Tales Of sont attendus partout, même en France. C’est avec joie que l’on constate chaque année la sortie de nouveaux jeux au Japon (Hearts R récement, Xillia 2 l’année dernière), malheureusement, à coté de ça, cela fait plusieurs années que l’Europe est boudée par la série. 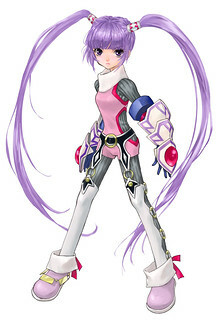 Tales Of Eternia ? Uniquement en anglais sur PSP. Tales Of The Abyss ? Uniquement en anglais sur 3DS. Tales Of Rebirth ? Pas sorti chez nous non plus. Tales Of Hearts / Innocence / Tempest ? Rien en vue. Evidemment, ça n’empêche pas les fans d’acheter, mais ça empêche les gens de connaitre la série. Donc je viens le demander solenellement ici même : Ne nous oubliez pas, c’est en sortant des jeux chez nous que la série sera de plus en plus connue et appréciée du public. Nous attendons avec impatience Innocence R / Hearts R ainsi que Vesperia PS3. C’est une bonne chose que les Tales Of se soient enfin fixés chez Sony (ça évite d’acheter de nombreuses consoles), mais sortez des jeux, dématérialisés, en boite, en français, en anglais, mais qu’ils arrivent ! Buy the Japanese version. 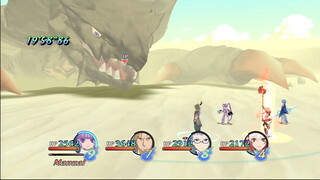 It has Japanese audio and will play on your region free PS3. I hope this means we get Tales of Hearts R and Tales of Innocence R… at retail. Not having games at retail, sends the message to random buyers “this system has no games”, thus hurting sales of the system and I just don’t like digital only release. Oh and you should consider releasing Japanese audio as DLC. Since, I can’t imagine you guys just including it anytime soon. I’d like the option to at least buy it. I wish to play Tales of Vesperia as well, make it happen guys, the localization is already done so you’re halfway there! Hey can we please have Tales of Xillia on the PSN also. Hey Hideo Baba! I am in love with the tales series, and I am really hoping for the vita tales games to get localized. Preordering xillia soon. Will the ps2 tales games come to psn as well? Got this game, got if from day one. SO Namco, don’t forget to bring over the existing Tales of games for the PSVita too, day one purchase too! Will this have dual audio? So much love for the PS3, and absolutely no love for portable gamers…. Is there any chance to bring over here the Vita tales ???? And at the same time bring ALL the tales for the PSP that remained JAPAN exclusive ??? No, not any chance ??? I already have Tales F, but I’ve been waiting a long time for Xillia to hit psn! Why haven’t I played this series yet?? What’s wrong with me?? I will remedy this problem ASAP! These games look beautiful and I can’t get enough of classic RPG gameplay. Thank you Bandai Namco! I’ll remember that Xillia is coming out as well. A big thank you to Hideo Baba as well! How could I not thank the producer? I’ve been thinking about buying Graces F for a while but haven’t pulled the trigger yet. This is difficult..
Is the disc copy worth $17 more? Hmn.. Please bring Tales of Vesperia PS3! I already bought my Tales of Graces F, but I appreciate you putting it on PSN, because it can be difficult to find it in stores. And I am waiting for Tales of Xillia. Day1 for me! Its really a great new. Great! Now we just need to get the Vita games out here and i would be really happy! Can we please get confirmation if this includes the Japanese audio track or not? I’d rather support the US release but if it lacks this feature I will have to buy the Japanese version used off eBay since it has Miyuki Sawashiro and she is one of my favorite seiyuu. I wish Namco would just hurry up and give us a straight yes or no already. I also agree with 75. If we can’t have the Japanese audio included on disc, can we at least have the option to buy it as DLC? Only crappy English dub that sounds straight from crappy Funimation small pool of voice actors… no thanks. I’ll wait for the one with Japanese dubs. The moment I saw that Tales of Graces F was up for download I bought it immediately. I think I’m already close to the end of chapter 2. I just recently got Pascal into my party. 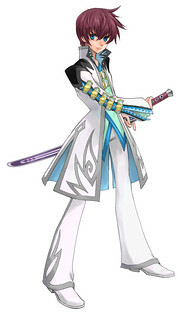 Can’t wait for Tales of Xillia to come out. And here’s an idea I have. Since Tales of Vesperia is physically staying an exclusive for Xbox 360, Namco should release it on PS3 as a PSN download. Because I have money to buy a new game, not a whole new system. 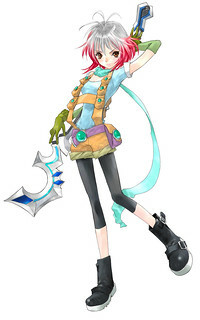 And we also need Tales of Legendia and Tales of the Abyss as PS2 classics or made into HD ports for the PS3.